I never realized the oneness of all divine names until last night. I think I probably honored that truth intellectually, but had never tasted it. 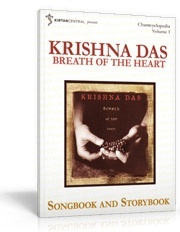 I would sing or repeat one mantra at a time only, avoiding "mixing and matching," trying to focus on the experience of Krishna's name, or Hanuman's, etc. Well, last night I sat down with Sean Johnson and the Wild Lotus Band's new album Unity. Listening to "Nur Allah," I am grooving along, but when a second mantra is added it distracts me, then a third comes in, which confuses me, and a fourth and fifth – Om Guru, Sat Nam, Shalom, Allah, Om Mani Padme Hum, all being sung in one interplaying choir – and suddenly, I am pushed over the edge and into the experience they are singing of: all the names are dancing in the same light, naming the same love... Oh, my God!! Have I gotten hung up on the name? On preferring one name over another? While each may have its own beauty, its own characteristics, that's not where to focus... I should be focusing more on what the name is naming – which is always the same – and the band sings, "it's about love… It's about love." For me, this album is as important as KD's Pilgrim Heart or Jai's Shiva Station, expanding and deepening the vision of modern kirtan music. In this increasingly interconnected world, we can no longer afford to think that one name of God is higher than another, otherwise we inadvertently judge our neighbors. Of course we have our favorites and love them dearly, but the truth must come out: there is only one God, called by so many names, and if concepts about God get in my way I will just remember, "It's about love." Will my voice ever improve? I'm learning harmonium and chants, and would eventually like to sing with others and lead small kirtans at my house. However, I've been told my singing voice isn't very good. From your experience, can one's voice improve over time, or am I best to forget singing with / for others? Good question! And a very common one, since most chanters are coming to singing and instrument-learning late in life, not as a "musician" per se, but as a devotional practice. Sometimes at first it can be awkward, or frustrating... but... Stick with it and every aspect of your practice will develop! From month to month, you'll see some progress. And from year to year, you'll see big changes. Music is a long-term journey. Whoever told you that your singing voice isn't very good, was just externalizing their own insecurity about their own singing voice. Or was just callous ;) Most of us are somewhat insecure about our voices, and most of us stopped singing at some point (we all sang as kids)... but actually it is our human birthright. As a music teacher I feel that everybody can sing, it just takes willingness to open back up to singing if it's been shut down for some reason. The harmonium is great for this, since you can really let your voice follow the pitch of the harmonium notes. 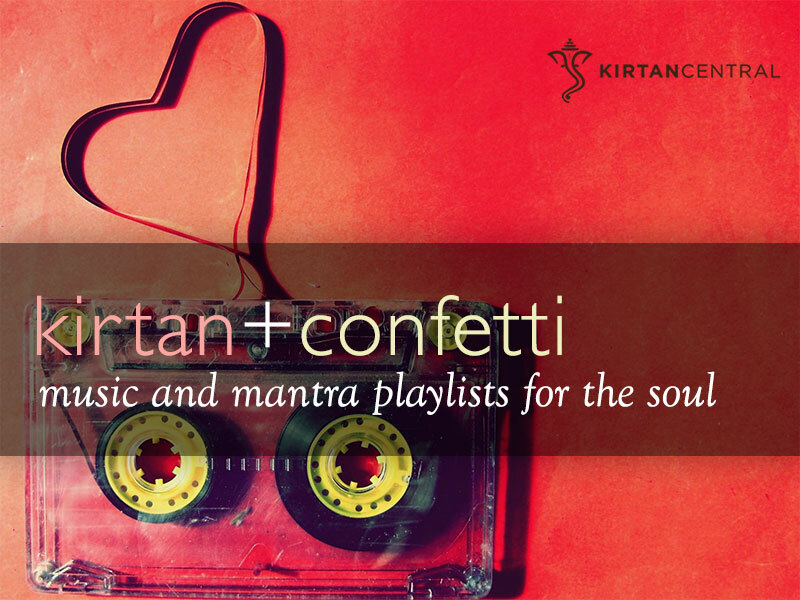 Particularly good is playing kirtan songs in "melody style," where there's just one note at a time getting played on the harmonium, so that your ear can easily track and follow that pitch as you are singing. As opposed to playing in "chord style," where three or more notes are being played at once ~ this also sounds good, but can confuse a beginner's musical ear, which may be uncertain which note to sing. Usually I encourage students to learn a song in melody style first, and once they are confident they can sing the melody, then add in the chords. 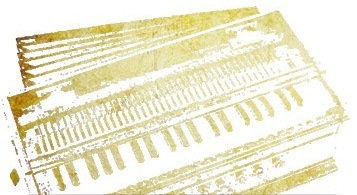 If you like, you can check out my harmonium tutorial courses at www.BhaktiBreakfastClub.com ~ all of the "harmonium song courses" (200-level) are taught in this way, melody first, chords later, to make sure the voice is in sync before making things more musically complex. Hope that helps! Be easy on yourself, enjoy the practice and gradual improvement, enjoy the feeling of singing, let go of internal judgments about the voice, and you'll become an inspiration to others who want to open back up to singing but worry they don't have a good voice. Drop a note any time. "We filmed the entire Ramayana in four consecutive one-hour sections, each with some kirtan. There was a really sweet studio audience packed into the small, hot and sweaty little studio. We all felt the energy get stronger and stronger through the day, as if Hanuman Himself had joined us and was listening to his primordial tale.. I hope this feeling comes across to you all when you're watching and please, please sing along and feel like you're right there with us. "Part 1 and Part 2 have just been released today, you can watch them now with a Bhakti Breakfast Club membership. Parts 3 and 4 will be added next month. Visit www.BhaktiBreakfastClub.com/jai to sign up. With a membership, you can watch all the other courses in the Bhakti Breakfast Club too, including harmonium lessons with Daniel Tucker, who teaches the harmonium classes at my kirtan camps, and upcoming tabla lessons with Daniel Paul they're filming next month. 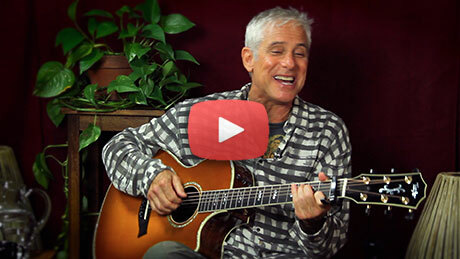 If you're a harmoniumer, you can learn lots of the songs from my "Kirtan!" album, and other live kirtans. And if y'all like the Ramayana courses, maybe we'll film some more Bhakti story courses for you in the future! "Here's a little clip - check it out! !